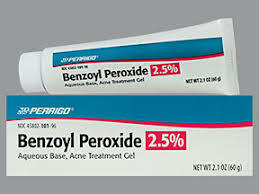 Glenmark Pharmaceuticals’ subsidiary — Glenmark Pharmaceuticals Inc., USA (Glenmark) has been granted final approval by the United States Food & Drug Administration (USFDA) for Clindamycin and Benzoyl Peroxide Gel, 1%/5%, a generic version of BenzaClin Gel, 1%/5%, of Valeant Bermuda. According to IQVIA sales data for the 12 month period ending January 2019, the BenzaClin Gel, 1%/5% market achieved annual sales of approximately $99.4 million. The company’s current portfolio consists of 151 products authorized for distribution in the US marketplace and 53 ANDA’s pending approval with the USFDA. In addition to these, the company continues to identify and explore external development partnerships to supplement and accelerate the growth of its existing pipeline and portfolio. Glenmark Pharmaceuticals is a global pharmaceutical company. The company is engaged in the development of new chemical entities (NCEs) and new biological entities (NBEs). Its segments are India, United States, Latin America, Europe and Rest of the World (ROW).